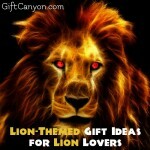 Home » Blog » My Favorite Things » Animals » Amazing Frog Gifts for the Frog Lovers! 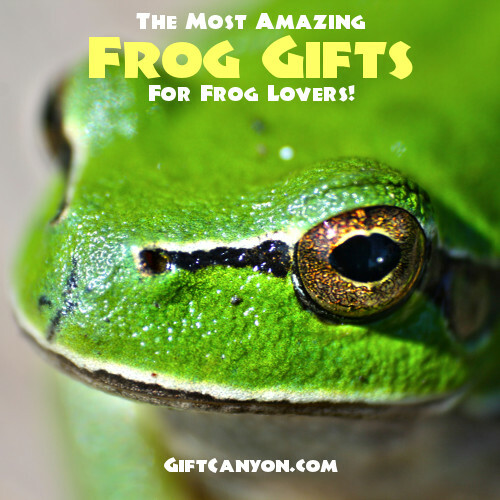 Amazing Frog Gifts for the Frog Lovers! The frog is not just a green and slimy creature, for some people they use this animal as a symbol of their personality. The frog is a symbol of transition, cleansing, renewal and transformation. In Japan, the frog is very auspicious as it is known to keep your money always returning when used as an amulet. No wonder they call the frog as Kaeru which means return in Japanese. In ancient Egypt, frog amuletss are used by midwives as it is believed to promote an easy and safe delivery to their patient. It is also believed that when a frog amulet is placed on Egyptian mummies, their soul would be reborn. Meanwhile in Panama, golden frogs are believed to attract wealth. No wonder they have August 14 in Panama as the National Frog Day. Edvard Grieg, who is a famous Norwegian composer is known to have a rubber frog which is always on his pocket that he rubs before his concert starts and is known to be his lucky charm for a very long time. This lucky charm frog is now at display in his hometown at Troldhaugen in Bergen. If you are a frog lover yourself or know someone who does then we are dying to let you see our prepared list of gift ideas that would definitely earn you brownie points for sure! 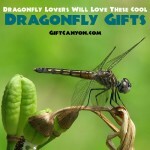 Check out our top picks of frog gifts from our listing below for your reference. Stressful days call for some unwinding activities. Well, what could be more rewarding than having a bottle of your favorite bubbly? Yes, any wine lover would be delighted to have this gorgeous frog wine bottle holder. It would be better if you could add your buddy’s favorite wine bottle altogether for that wine session you are all craving for! 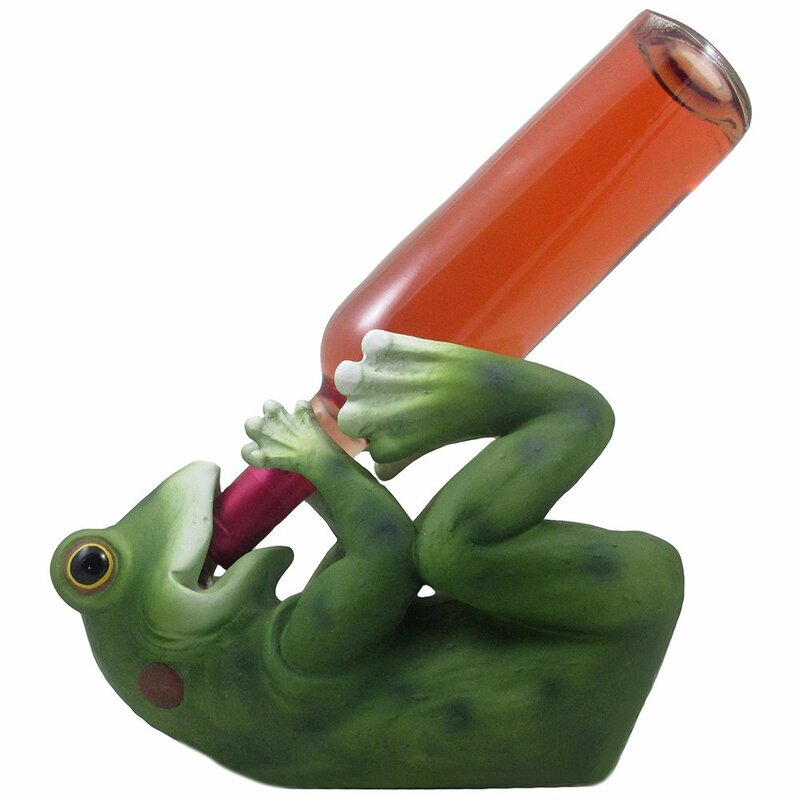 This frog wine bottle holder is a handmade sculpture made from cold cast resin with a bottom felt for a sturdy grip. This refreshing cheerful frog décor comes with a decorative gift box which makes gift giving a breeze! Cold nights especially during the winter season calls for all warming devices to be at hand. Warm clothes, heater and other warming devices are useful but there is this therapeutic frog wrap that provides warmth, comfort and some relaxation too. This frog wrap is very soft to the skin and gives the wearer a cozy feeling when worn. If you know a frog lover who would be going head over heels for this then this would be the perfect gift for you! This frog wrap is made from the highest quality of fabrics that can be easily cleaned by damping a wet cloth. This frog wrap can also be used as a cold pack or a hot compress for you can put it on the freezer as long as you wrap it on a plastic bag and is microwaveable too. This special frog wrap is filled with dried lavender flowers and specially treated grains that makes it a therapeutic frog plush toy at the same time. Shopping calls for a shopping bag that can easily house all your goods in one carrying style. If you love shopping but hates the shopping bags crippling and falling apart then we do suggest this colorful frog tote bag just for you! This frog tote bag is made of polyester with web fabric handles which makes carrying it easier. 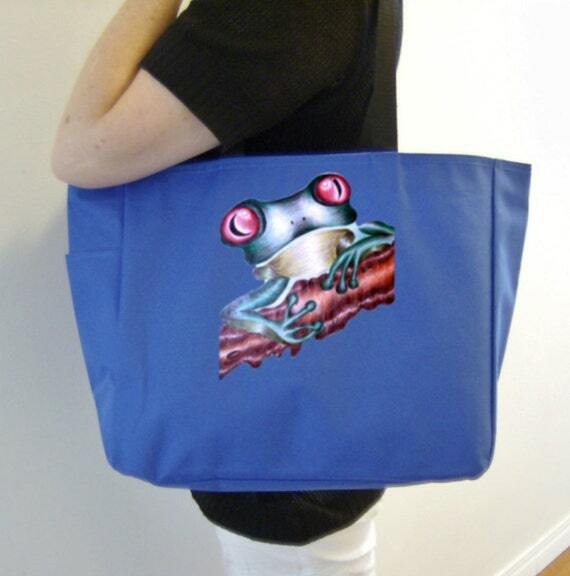 This frog tote bag is handmade with a heat press vinyl of your favorite animal of course! This tote bag comes in a variety of colors to choose from too! This frog tote bag measure twenty inches from end to end which makes it your shopping buddy anytime! This gorgeous frog tote comes with inside pockets too for your secret stash and other important items that you can’t leave behind. The outside pockets of this frog tote bag can house a baby bottle or a water bottle too which makes it an all-around tote bag to the rescue at any time of the day! Bath time can be more enjoyable for kids when you give them this frog bath towel. This frog bath towel is so cute and charming because it is colorful and soft to touch. This frog towel is made of terry cotton and is hand made too which makes you assured of every detail to be perfect! This frog bath towel measures 30 by 55 inches and it comes with a hood for the frog’s head as an overall froggy look. The frog’s head is beautifully crafted as it looks like in an animated drawing which makes any kid amused and mesmerized. This frog bath towel is very useful not only in bath times but also when you go outdoors for a swim. 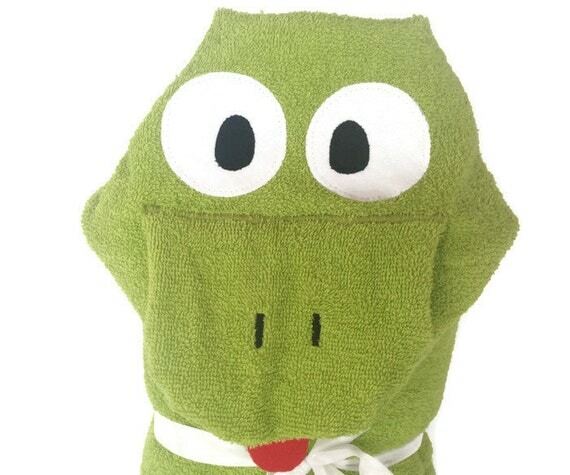 This frog bath towel can be your friendly tool to add some zest on bath time or swimming sessions. Dinner by candle light is such a romantic gesture that you can do but if you want to add something extra ordinary in the usual dinner table then you need to check out this one of a kind frog candle holder. This frog candle holder is a classy and interesting candle holder that you could not see every day easily. 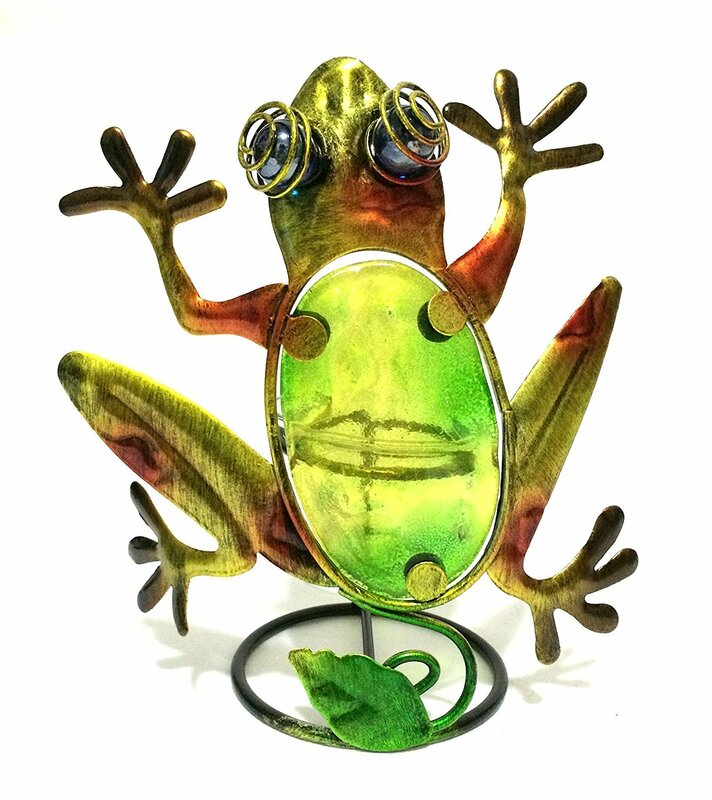 This frog candle holder is made of metal with a richly colored stain glass finish. This is not only ideal for the dinner by candle light date but can also be a charming aesthetic décor to your porch, garden or office desk as well. Organizing one’s jewelry comes easier when you have a trinket box to keep these small yet precious jewelries intact. 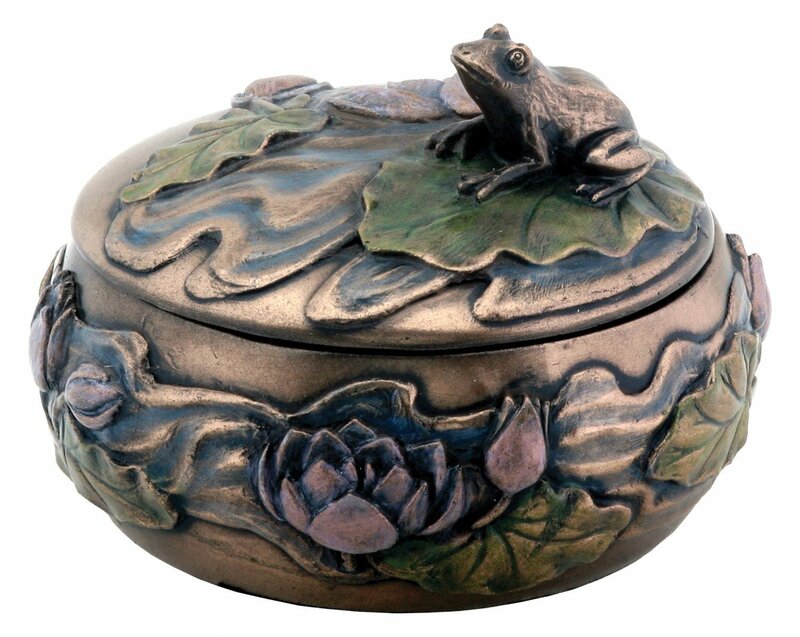 We do strongly suggest for you to check out this frog jewelry box that we saw from the web which makes your gift giving a superb task since you are assured that your frog lover recipient would be delighted to have this! This frog jewelry box is a small trinket jewelry box that is made of resin with the finest details made with superb craftsmanship! This frog jewelry holder is the best gift idea ever for any frog lover there is! It looks classy and sophisticated not only because of the color but also because of the intricate details seen on this one of a kind jewelry box. Any coffee lover and a frog fanatic would be dying to get this gorgeous and colorful frog coffee mug. Your favorite green fellow can also be your favorite thing to look for in the morning to house your favorite elixir to get you going! This frog coffee mug is designed for the frog lover there is who loves drinking coffee at the same time. 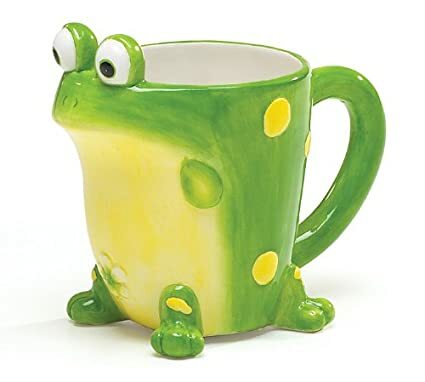 This frog coffee mug is made of high quality ceramic porcelain that can house up to ten ounce of beverage. The notably large handle on this frog coffee mug is ergonomically designed for that easy grip even when you are still sleepy or half awake. The frog design on this mug is painted with a high quality gloss finish which is ensured to last for a long time. Accentuate your daily wardrobe and some show stopper through this frog bracelet. 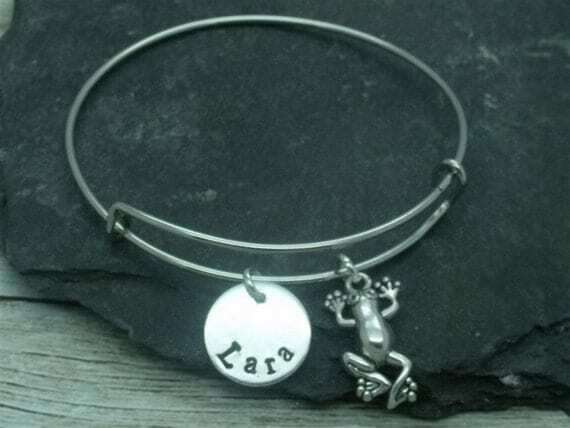 This frog bracelet is an adjustable bangle that is beautifully designed with a disc that can be stamped with a name of up to nine characters. You also have the power to customize and add some birth stones as you please. When ordered, this frog bracelet comes in a gift box which is wrapped already which makes it gift giving ready anytime and anywhere! Have you see a frog riding a bicycle? Me neither, well we can both see one on this peculiar shirt which features our favorite slimy fellow riding majestically a bicycle. This frog shirt is perfect for any frog loving person who is adoring this green little creature for ages! 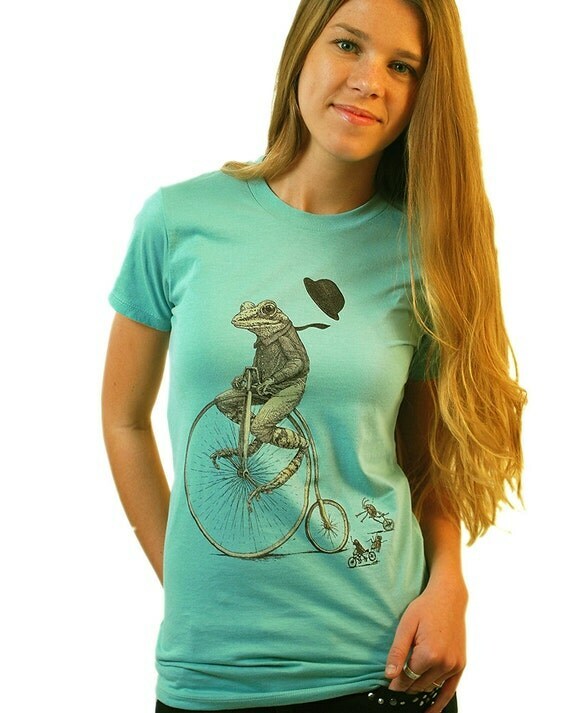 This cute frog t-shirt comes in different sizes to choose from. As for the color, you can choose between jade and heather gray stripes. If sleeping is a talent then I could win an award already! Kidding aside, who doesn’t love sleep? Well, if you know someone who loves to snooze especially after a tiring work duty then this fluffy frog pillow would be the best gift ever! This frog pillow is a cream colored pillow that comes with a classic frog picture done by the artist Michael Phipps. 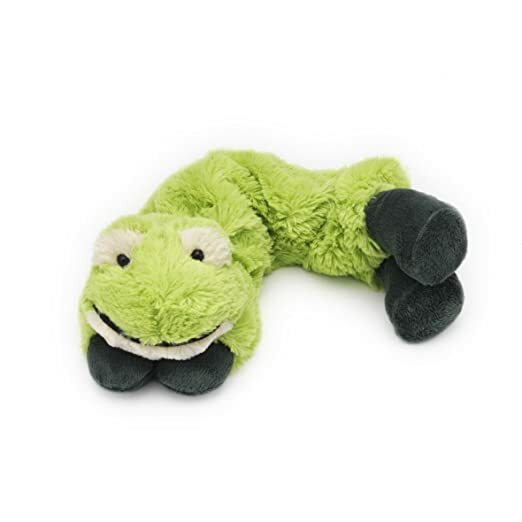 This frog pillow measures fourteen inch by fourteen for that perfect head resting place when for your nap on the couch. 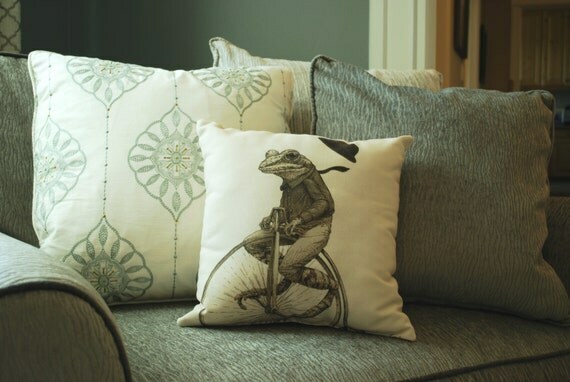 Frog gifts like this pillow can also be a charming décor to your living room and add some hoppy design as well. 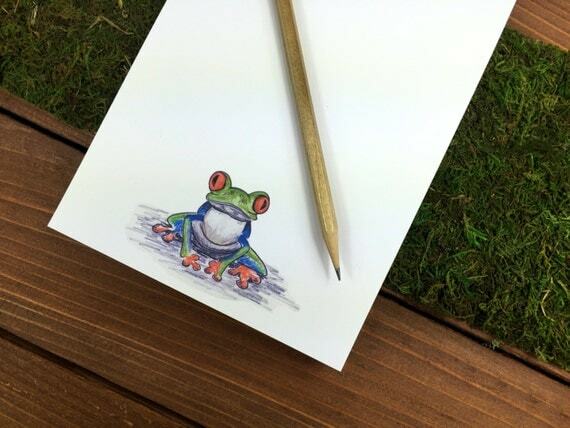 Jot down important notes, details or just doodle as you want with this tree frog notepad. This tree frog notepad is a great gift idea for someone who loves to write or doodle and is a frog lover at the same time too! This tree frog notepad can be customized with the name of your recipient as you please with a magnetic back too for a fee. This makes writing fun and livelier because of that slimy fellow that we all love as the feature design of this notepad. Taking pictures is not that easy especially when you are taking captured moments of little kids who can easily be distracted by anything even during a split second. To help you get that million buck’s smile and attention then this frog shutter buddy could come in to the rescue. 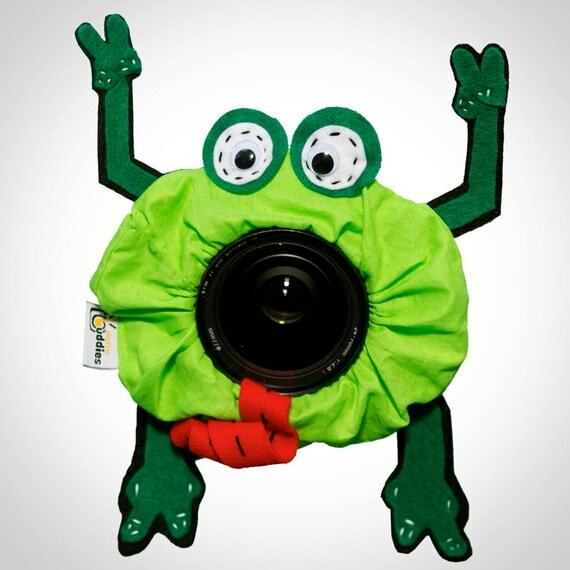 This colorful frog shutter buddy is a great distraction for kids that would help any photographer capture the perfect smile! Any frog lover photographer would be amazed and delighted at the same time when you gift this one of a kind shutter buddy. 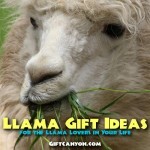 This can be bought as a gift to your frog loving recipient or even a gift to yourself too! 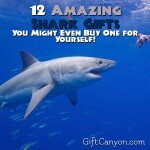 12 Amazing Shark Gifts: You Might Even Buy One for Yourself! 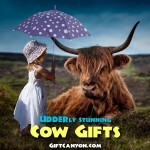 Udder-ly Stunning Cow Gifts That Will Make You Go “Moo”! 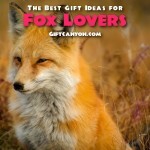 The Best Gifts for Fox Lovers! 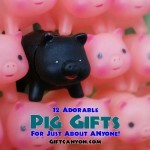 12 Adorable Pig Gifts for Just About Anyone! 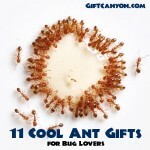 Amazing Bee Themed Gifts for Men and Women! 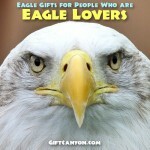 Eagle Gifts for People Who are Eagle Lovers! 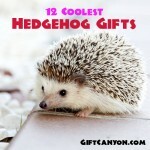 12 Coolest Hedgehog Gifts EVER! 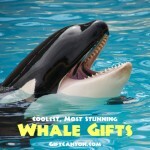 The Best Whale Themed Gifts! Ever!